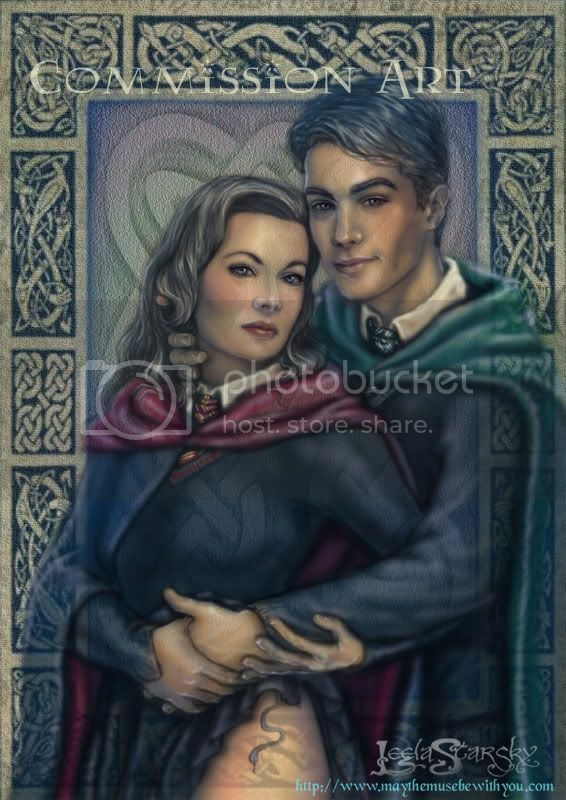 Tom Riddle and Minerva McGonagall. This is not from a story but from an RP community communiquills where archon_mentha plays Tom ( serpent_lord) and pre_raphaelite1 plays Minerva ( _tartantabby_). That is the most beautiful Minerva I have ever seen. Wow. OMG. This is just stunning! They are both so beautiful! Wonderful work! Beautiful. And an interesting pairing as well. Fab work! This is beyond amazing. The detail is exquisite! Gorgeous...simply gorgeous. Someone needs to write a fic to go along with that. It's true what they say...a picture is worth at least a 1000 words. Here's hoping it inspires something! ;~) Glad you enjoyed it! GUH. This is Minerva and Tom. It is. You've drawn them. It's really them and I am in awe. It's so beautiful and creepy and the TATTOO. Thanks, Ellie! It's great to hear that I managed to capture the characters from the RPG, specially since you know them. ;~) And I'm really pleased to hear that the tattoo works; I was going to make it a bit fancier but simple looked much better. That is AMAZING. You continue to blow me away. Always. Wow.